The Iowa high school football season kicked off last Friday evening. It was a bit strange having a high school football game prior to the start of school. I was lucky enough to return to the school I have coached at for the past couple of years in order to help out in the box (I stepped down in order to allow more time for this site). I owe a huge thank you to Coach Justin Russell of the Saydel Eagles for allowing me to stop by and help out. The Eagles were part of our BCDivide high school picks last week, and after a great performance in the second half they pulled away from Colfax Mingo to start the 2017 campaign 1-0. Now it’s time to look onto week #1. There are some great match-ups this week. 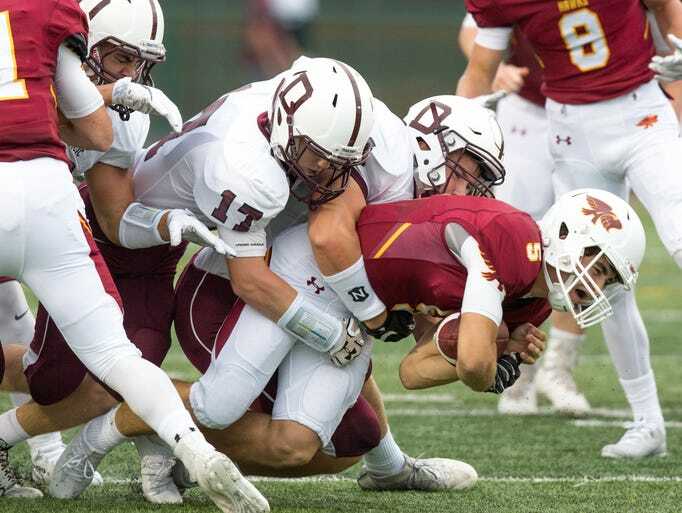 It’s ironic these two teams meet in week 1 of the 2017 season because both teams 2016 campaigns came to an abrupt end at the hands of the eventual state champs, Dowling Catholic. Johnston was knocked out of the playoffs in the first round and Centennial’s season ended in the semifinals. Both programs are fortunate enough to be in a position where they are reloading more so than rebuilding. In the past, I was lucky enough to coach under Jerry Pezzetti for one season as an assistant 9th grade coach for Ankeny Centennial. We went 9-0 that season and outscored our opponents by 273 points in 9 games. That 9th grade team from 2014 happens to be seniors this season and I fully believe this years Jaguar team has a chance to make a deep run. They will be lead by Chance Gibbons at QB who threw for nearly 1500 yards last season. What makes offensive coordinator Ryan Pezzetti’s attack so hard to stop is Gibbons’ ability as a dual threat QB. Chance was part of a three headed monster in the backfield last season lead by Jensen Gates with 1,055 yards. Hunter Pinegar followed him with 640 yards, and Gibbons added 635 rushing yards of his own. Since BCDivide is a Cy-Hawk dedicated site, it is also worth mentioning that former Iowa Basketball player James Winters (Chris Street’s Roommate) has a son who plays the nose guard position for Centennial. Trey Winters stands at 6’6 305 lbs, and he’s a force to be reckoned with on the defensive front. 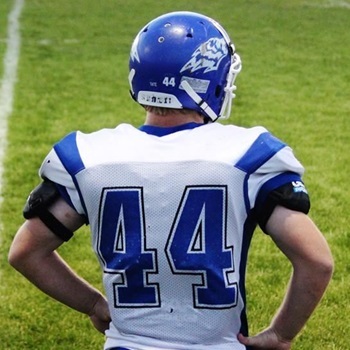 The rest of the defense is anchored by three year starter Spencer Hilbert at LB. Johnston returns QB Jake Meyer for his senior season but will need to find some help for him after losing both running backs to graduation. Coming off another state championship run, Coach Tom Wilson will be facing some familiar territory in week 1 as the Ankeny Hawks make a trip to the west side of the metro. One year ago, the Maroons beat up on Ankeny in week 1 of the 2016 season 28-10. Dowling Catholic went on to finish last season with another state championship, making it four straight. The Hawks got off to a rough start in 2016 by losing their first 3 games. They bounced back nicely and won 6 straight before ending their season with a loss to crosstown rival Ankeny Centennial in the 1st round of the playoffs. Ankeny lost a huge part of their offense when senior Blaine Hawkins (1800 total yards) graduated. There is a QB battle in camp, but senior Drew Hill will be the first young man with the opportunity to win the job. A year later and we are predicting more of the same. One year after winning 4A District 1, the Waukee Warriors are back and ready roll for the 2017 season. Waukee had a tremendous 2016 season before falling to the eventual champs Dowling Catholic in the 2nd round of the playoffs. Much like Ankeny, Waukee will have some big shoes to fill. Senior Drew Johnson accumulated for over 60% of Waukee’s total offense a year ago. He had nearly 1900 yards combined and 30 total TDs. Urbandale finished 5-4 a year ago and narrowly missed out on the playoffs. They will bring their balanced attack to Waukee this Friday evening. Last year they lost to Waukee 24-9 in week 1. They will also have some new faces offensively, but their attack will likely run through senior RB Henry Drake. Drake rushed for 500 yards and 2 scores last season while splitting the RB responsibilities. As the feature back, expect him to get more carries this year. 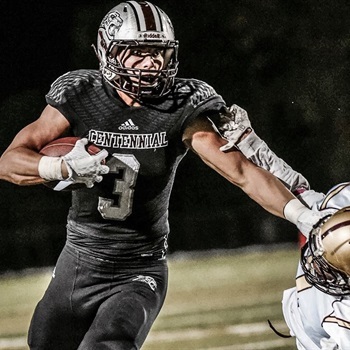 Last season, the West Des Moines Valley Tigers were knocked off by Ankeny Centennial in the 2nd round of the high school playoffs on their own turf. This year the Tigers begin their season on the road against Bettendorf. Bettendorf has been a staple in Iowa High School Football for many years. They were physically beaten up last year by a Valley team that featured highly touted QB Rocky Lombardi. Bettendorf responded as you would expect most storied programs to, by ripping off 7 of 8 wins before losing to Iowa City West in the opening round of the playoffs. 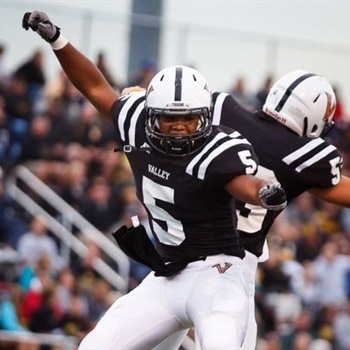 For Valley, look for senior Jevon Mason to play a crucial role in the outcome of this one. Mason rushed for 1,000 yards a year ago and found the end zone 15 times. With another year of experience under his belt it is safe to expect this young man to have a tremendous season in 2017. Valley may have handed it to Bettendorf last year, but we think something is brewing along the river in Eastern Iowa, this is our upset of the week. What a matchup we have in week 1 as Denver meets Dike New Hartford for a rematch of an epic battle from last season. Denver knocked off Dike in week 1 last year 25-22. They would go on to win 11 straight before finally losing in the semi-final tilt against Iowa City Regina. Dike on the other hand would lose both week 1 and week 2, but managed to turn things around in week 3 with a victory at Saydel. They would go on to lose in the semi-finals of the playoffs to eventual champ Boyden Hull Rock Valley. Both teams lose a plethora of talent from last year making the outcome of this one tough to predict. It will be interesting to see how things pan out. Dike lost 3000 yard rusher Trent Johnson, and Denver lost a good portion of their offensive production as well. We do know that these two programs are going to battle. Be sure to catch the Black + Cardinal Divide show on Tuesday nights on Mediacom Channel 22/822 from 5-6pm. We will also be on Friday nights from 6-10pm. The BCDIvide show from Tuesday night will re-air from 6-7 pm followed by 3 hours of live high school football coverage!! No Mediacom? No worries. Watch a live stream of the show for free right here on www.bcdivide.com!